Was Salman Abedi radicalized before Manchester Arena bombing? 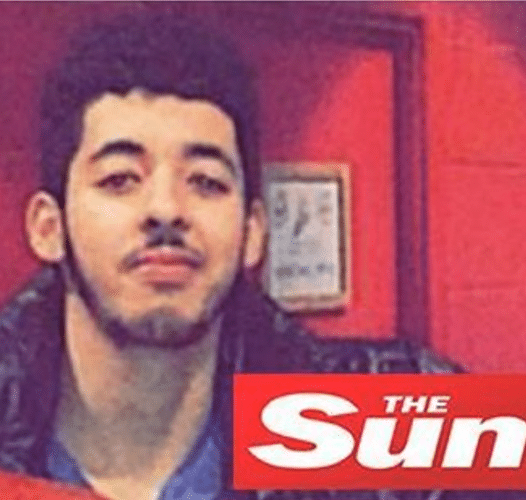 Home Scandal and Gossip Was Salman Abedi radicalized before Manchester Arena bombing? Was Salmen Amedi (pictured) radicalized before Manchester Arena bombing? Was Salman Abedi radicalized before Manchester Arena bombing? Was a Manchester local Islam youth invested in an extreme ideology? Neighbors of Manchester man Salman Abedi the 22 year old individual identified as the suicide bomber behind the Manchester Arena explosion that left 22 dead and over 100 individuals injured, have described the local man as a devout Muslim who had been acting strangely in the weeks prior to Monday night’s attack. According to Mohammed Saeed, an imam at a local Mosque, Abedi the son of two Libyan emigres and the third of four children to a former airport security worker once looked at the man with scorn when he gave a sermon criticizing ISIS. At one point, a friend of the imam became so concerned that he arranged for another friend to sit beside Abedi in the event the 22 year old attacked the imam preaching tolerance and moderation. Abedi a former Burnage Boys Academy pupil was a devout Manchester United football fan who often dressed in traditional Islamic clothing, while also ’chanting prayers loudly in the street’ outside his home in the south of the city. Of contention is whether the once placid young man had come to be indoctrinated by hardliners in the last two years? And if so, to what degree had such a group come to instruct or even actively participate in Amedi’s mission statement? Told Lina Ahmed, 21 via the dailymai: ‘They are a Libyan family and they have been acting strangely. ‘A couple of months ago he [Salman] was chanting the first kalma [Islamic prayer] really loudly in the street. He was chanting in Arabic. Why? Salman Abedi i’d as Manchester Arena suicide bomber. ISIS agent? Also of question is to what degree Abedi’s mindset may have been increasingly become influenced by a hardline interpretation of Islam? A former school friend of Abedi told of seeing Salman having grown a full beard in the recent last year. Yet perhaps most intriguing are reports that Abedi had been known to Manchester authorities prior to Monday night’s blast. 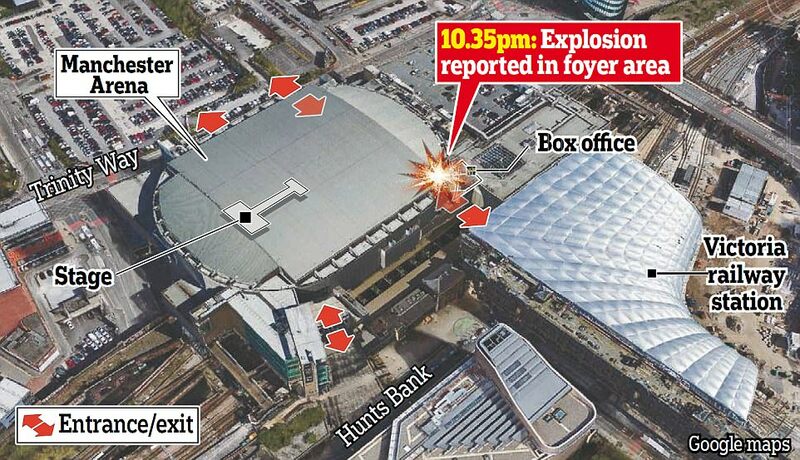 A report via the Evening Standard reported told of the bomber ‘was known to security services but they did not believe he posed an immediate threat’. How and in what capacity Abedi had come to be known wasn’t necessarily understood, raising the specter that the would be suicide bomber may have come to be part of a branch of Islamic ideology or society that authorities may have been surveilling? Augering the possibility that Abedi may have indeed participated as part of a wider collaborative (ISIS or not) as opposed to that of a lone wolf suicide bomber are claims by forensic and bomb squad officers who told of the Abedi’s device being ‘sophisticated’ and not one found as a recipe on the internet. Detectives are also studying the bomber’s links to Syria or other jihadi hotbeds amid intelligence that he may have traveled abroad to the region. In the interim authorities will be seeking to build a picture of Abedi’s movements both in recent weeks and months as well as immediately before the strike. Salman Abedi radicalized. 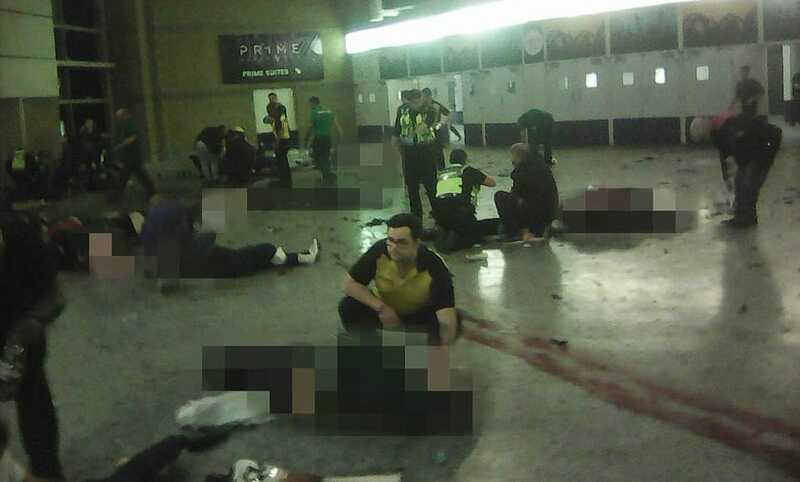 Pictured the aftermath of the Manchester Arena bombing. Image via social media.